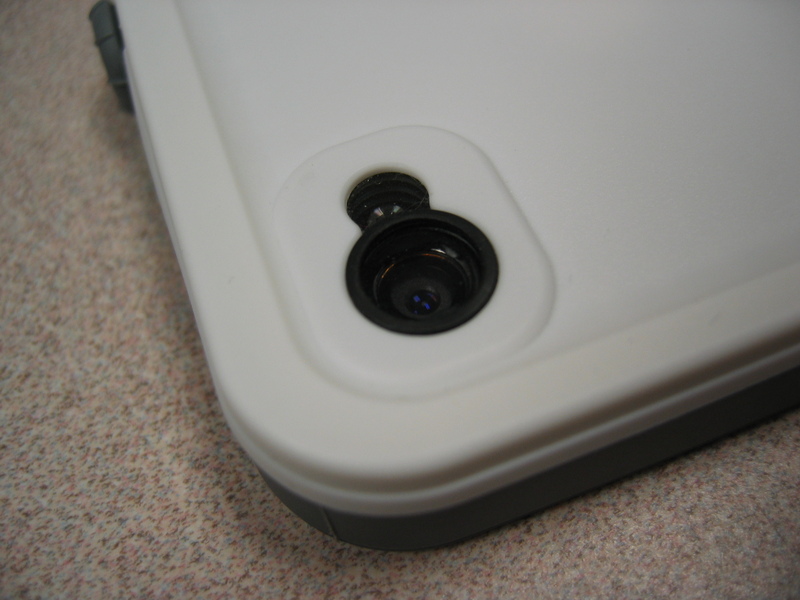 I’ve been using a LifeProof case (2nd generation) for my iPhone 4S for over two weeks now and thought I would share my thoughts on this rather expensive ($79.99) accessory. I’ve always been extremely protective of my electronics, especially the mobile ones. I would cut screen protectors out for every phone I’ve ever had (which is a LOT of phones) and carefully put them on the screen before I even turn it on. So protecting a glass phone that has the potential to shatter into billions of pieces is very important to me. I’ve been asked many times in the past on why I would want to hide the beauty of my phone with a case and the answers is “It only takes one mistake for that beauty to turn into a burn victim” I got the phone primarily for it’s abilities and ease of use (and the hundreds I’ve probably spent on apps over the years) and the “sexiness” is pointless since so many people has the same phone. I would like to keep it as new as possible so it will pay for my next iPhone (which my iPhone and iPhone 3GS has in the past). There are plenty of iPhone cases out there that will protect your investment well, some do it with minimal bulk, others add so much shock absorption material you can’t even tell it’s an iPhone anymore. Like many others I was (still am) a fan of the OtterBox cases, I had the defender series for my iPhone 3GS, my iPad and on my iPhone 4S and always felt that I can drop these devices HARD and not cringe. But as much as I enjoyed the protection, the bulk was cumbersome in certain situations. Getting it out of my pocket while I was driving was next to impossible. And dust would get trap under the screen protector/film after some use since there are holes everywhere for accessibility purposes. As some of you may know, build up of dust can cause hairline scratches, my iPhone 3GS’s chrome trim looked like a crime scene no matter how much I tried to protect it. This ensures NOTHING rubs up against your phone. When I read up on LifeProof, I was attracted mostly because it is 100% shielded from the environment which means I would no longer have to worry about dust scratches. So when they fixed a few minor issues and released the 2nd generation case I ordered it and it was shipped and received within the week. Upon receiving it I could not believe how thin was! Note that this case is tested to Military Specifications MIL-STD-810F-516.5. (dropped onto concrete from a height of 6.6ft.) AND IP-68 (dust proof and water submersion). Some of you may feel cheated because how cheap the case feels. It is light and flimsy without a phone in it. 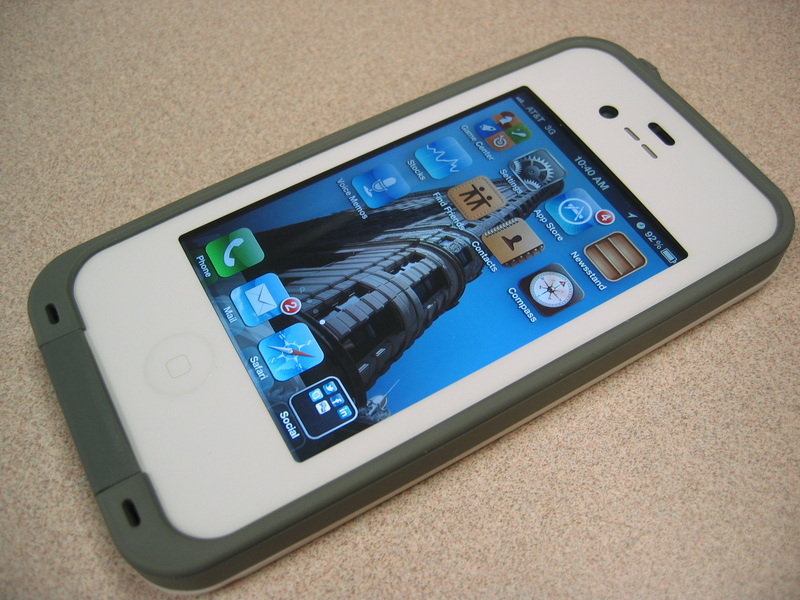 But once the phone is in it feels solid and I started to wonder how I was able to carry an OtterBox for so long. The LifeProof’-ed iPhone slips in and out of my pockets easily and no one has complain about the call quality (1st generation had “tunneling” issues). The back is so thin that light just shines through, but don’t let this deter you. What you have to remember is that under normal situations, when you drop your phone, it will land on a flat surface, the most likely impact points are all protected so your phone will not be damaged (this is why the Apple’s bumper works well even though it only wraps around the phone’s border. 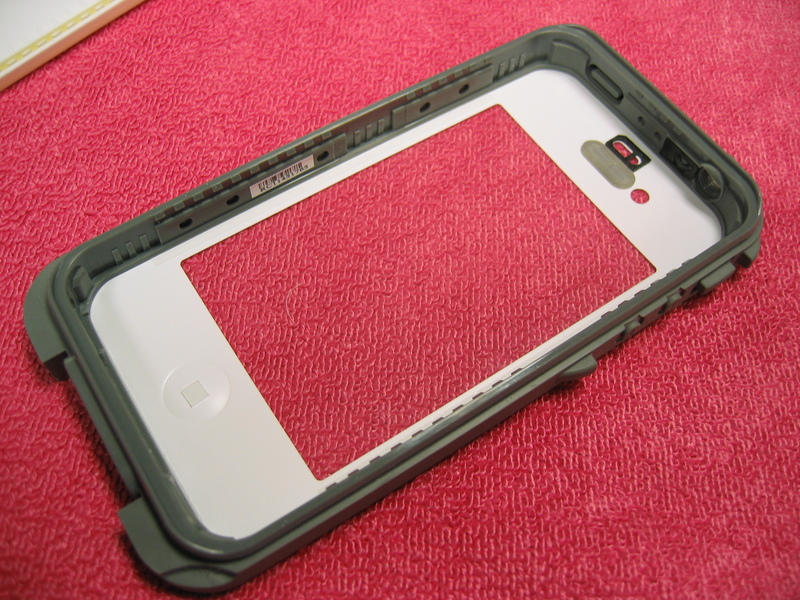 If your argument is that cases such as the OtterBox defender has 1/10″ of plastic and silicon protecting the back. That is a valid point because if you were to drop the phone and the back lands on a rock or drop a hammer on the back, the OtterBox would be a better barrier. BUT there is a 50% chance the phone would land screen side down, in that case the rock/hammer would shatter the screen since there really isn’t much protection there. My point is that LifeProof offers enough REALISTIC protection without adding much bulk AND it is waterproof without distorting sound quality which is one thing OtterBox does not even offer! One thing I do like about this company is that founder/CEO, Gary Rayner, puts himself out there, he doesn’t hide behind his employees when he demonstrates the functionality of this product on the company’s YouTube channel He’s clearly showing you how it works in a day to day situation, such as recording your child playing at the beach, or playing in the snow or if you were just plain clumsy like Gary’s sidekick/LifeProof’s Social Media Manager Dusty is. Gary does spend time looking at customer’s concerns and complaints and deals with them. Whoever is in charge of their Twitter account is paying attention to what people are saying and helping with customers who are experiencing problems. 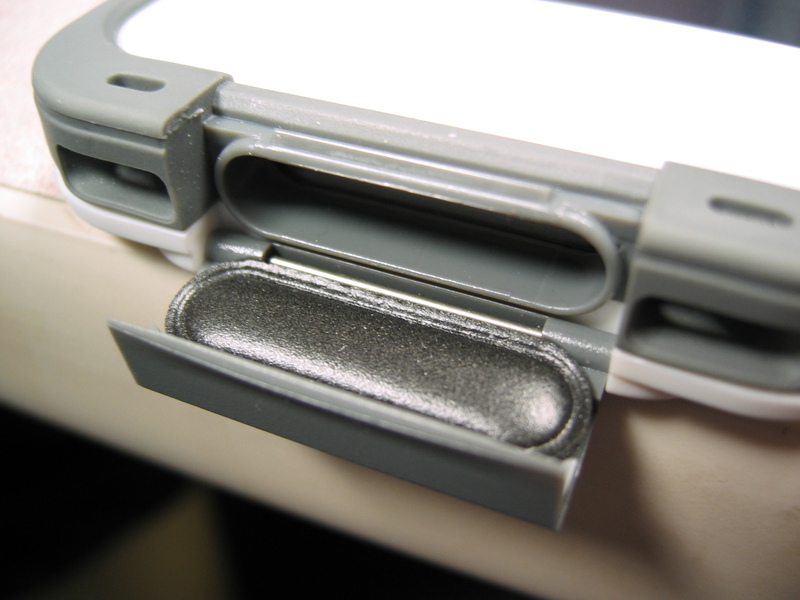 The inside of the case is lined with rubber bumpers which helps with absorbing shock, when you put the phone down, neither the front nor back ever touches the surface because of the ridge around that phone creating a “lay on the table design” This is one of the reason they did not use excessive bulk to create protection, if the phone drops, there’s no impact on the phone itself. The instructions tells you to submerge the empty case to ensure it is waterproof from the factory, once that is confirmed you can put in your phone. The biggest problem I had with this was actually cleaning it enough so that there’s no dust trap under the screen, it took me a few tries because would you really want to be looking at THIS all the time? My advice is to put the phone in and check it carefully BEFORE you snap on the back. The only way dust will get into the phone is when you open up the charging door which is made to fit the 30pin connector that came with your phone, unless your 3rd party connector is smaller or the same size you will have to get a pricey ($20) RadTech extender. Once your connector is on, there’s very little room for dust to get in. One thing I have noticed was dust settling on the black foam over night, I’ve used a new/clean soft makeup brush to lightly brush them off just to ensure a flawless seal. Another way dust can get in is through the earphone port which is seal up with a screw in piece. The case is said to be snow proof which I have no idea how since there’s absolutely no thermal protection layer. I guess the added layer helps insulate the phone a bit, but you really shouldn’t have the phone in snow type cold for too long since it is not made to operate well for long period of time in fidget conditions. However because it is water proof you would not have to worry about snow melting into the phone! Personally I can’t wait for my next snowboarding trip so I can use my phone to take pictures/videos. I’ve never brought my DSLR or even my point and shoot cameras out because I’m afraid of the water damage. To summarize this post. I’m fully satisfied that my phone is secured in it’s own shell away from all elements that can harm it. I’m glad that if I ever dropped it in a normal setting I would not have to worry. I’m glad that if I ever get thrown into a pool, I would not go to prison for killing the person who threw me in. $79.99 is definitely a steep price to pay, But depending on how much of a klutz you are, it might be worth it since a replacement is in the $600 range since you can no longer get it at the subsidized price of $199. As I’ve always said about everything, as long as you understand the limitation of a product before your purchase, you can not be dissatisfied. 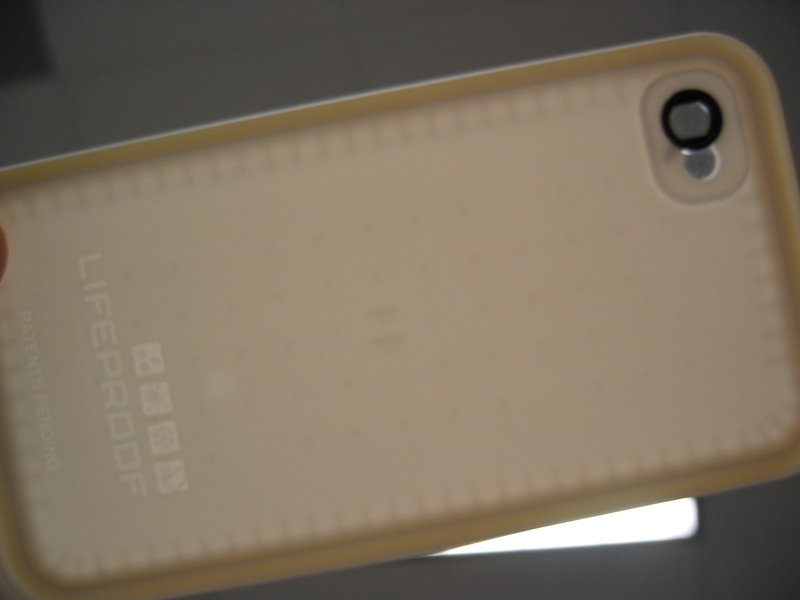 LifeProof never claimed their product to be able to survive a 12 story drop or being run over by a car. It is more for someone who was talking on their phone, trips and drops their phone which then bounces into a puddle. THAT is life…thus LifePROOF. Don’t forget to go to their warranty validation site http://www.lifeproof.com/support_d/warranty_validation.php to receive a full year of warranty. They are not trying to cheat you out of a one year warranty, I think it is to make sure you know the limitation of the case and not try to get reimbursed for your excessive abuse down the line. The edge of the case is surrounded by rubber that absorbs shock, the home button has a tiny square sticker that allows a more tactile feel when button is press through the cover. 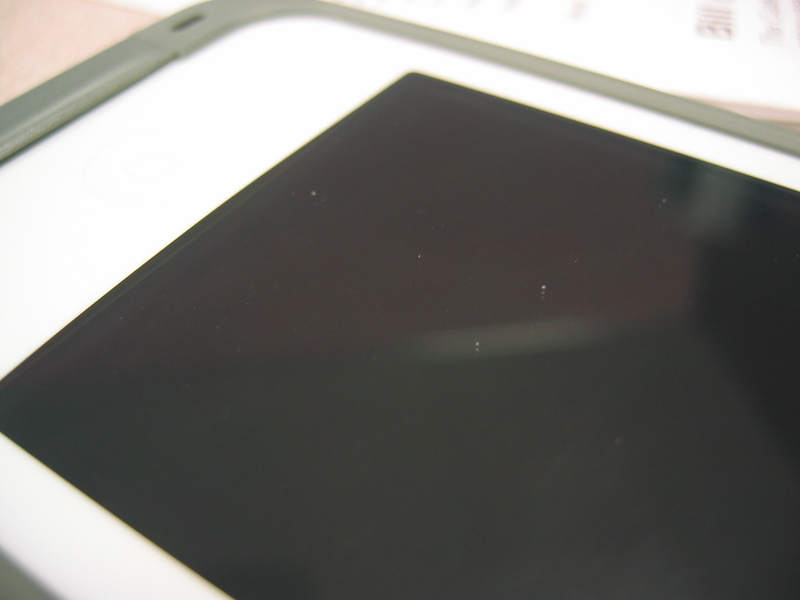 The entire front of the screen is covered by a scratch resistant film, touch screen responsiveness does not seem to be affected. There is a slight outward curve (pillow effect) in the film which requires slightly more pressure to register my touch, but over the two weeks it has improved dramatically and it now feels like nothing is on it. However there is still a slight bump at the earpiece end due to the piece of Gore-Tex and other plastic film over the proximity sensor. The camera and LED flash is covered by good quality anti reflective glass which doesn’t seem to affect picture and video quality. Using glass as opposed to plastic for waterproofing is one way you can tell LifeProof did not skimp on quality.